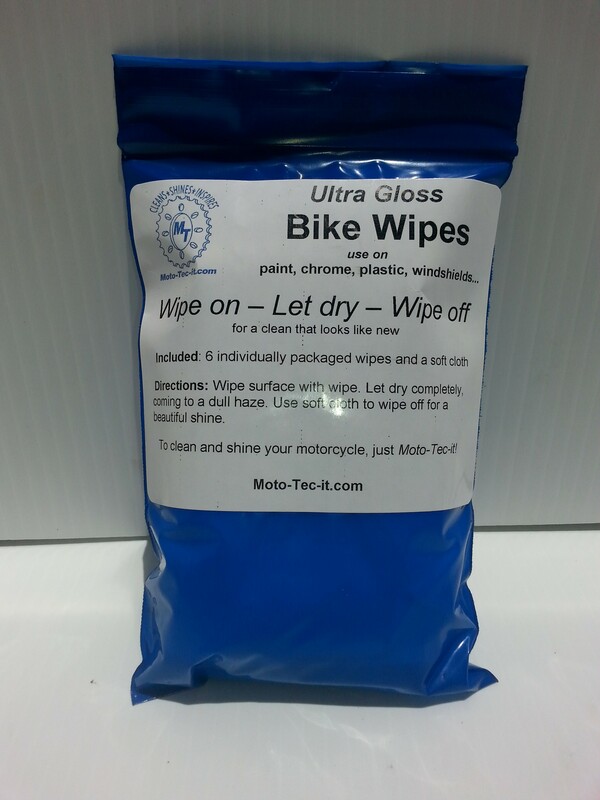 Fast and Convenient Ultra Gloss Bike Wipe Take-Away pack contains 6 – 7″ x 7″ individually packaged wipes and a soft cotton cloth. Everything you need to clean and shine when you ride. Simple to use Wipe on, Let dry to a haze, Wipe off. The wipe is non-woven allowing dirt and debris to be picked up by the wipe. Start on your windshield, next the gas tank, then work towards the back of your motorcycle and down. Wipe on, let the product come to a haze, wipe off with the soft cloth. 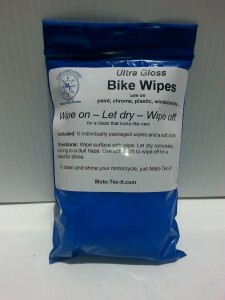 To clean and shine your motorcycle just Moto-Tec-it!